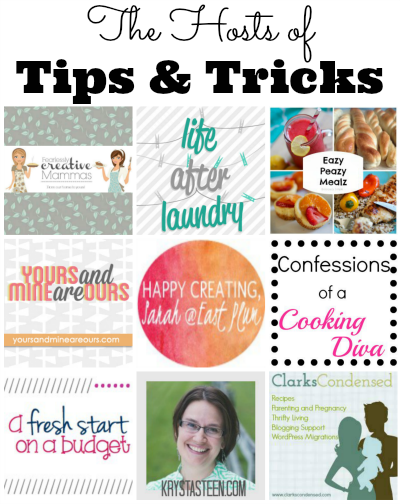 Home » Tip & Tricks	» Tips & Tricks – Show us what you’ve got! Tips & Tricks – Show us what you’ve got! Hi there! How was your Mother’s Day? Mine was nice! My youngest son, Kaden (age 11), made me breakfast in bed. It was yummy :) We went to church, had a peaceful day and then my hubby grilled a fabulous dinner. Tips & Tricks has been evolving a bit over the past few weeks! We no longer have a weekly theme, so link up whatever you would like – any time! I am looking for 2 more partners this month to mentor! If you are interested in health & wellness, love helping others, and aren’t opposed to making $500-1000 a month, then maybe you’d like to partner with me! One Response to Tips & Tricks – Show us what you’ve got! « Tips & Tricks Time!